We are photographing with mainly two cameras, the Canon EOS 5D Mark IV ( Adriaan) and the Canon EOS 7D Mark II (Yvonne). Many years back I (A) bought my first Canon 5D and the 5D is the best camera I ever had. At the end of 2016 I bought the Mark IV and it is simply a great camera. It has more features than the 5D’s I worked with earlier (Mark II and Mark III, that were excellent camera’s as well). What ever the critiques say about this camera, I love to work with this workhorse. I am not going into the technical details of the camera, there are much better sites where you can google to. On the 5D I (A) have only one zoom lens, the Canon EF 24-105mm f/4L IS USM. When we are traveling with the camper and our dogs it is convenient not to change lenses all the time. Especially one of our dogs is rather high maintenance. This zoom lens is not super according to the reviews, but for me it is a very convenient and a good quality lens to work with. A Jack of all trade. I am happy with it. Then I recently sold the big white lenses (70-200 and 300mm). It has nothing to do with the quality of the lenses, they are very good. But I prefer low profile, less tele and less weight. Also I have a preference for prime lenses. What is in my bag now when going out for shooting are the Canon EF 35mm F2.0 iS USM, the Canon EF 50mm F/1.2 L USM and the Canon EF 135mm F2.0 L USM. It is great fun to work with these lenses. My favourite now is the 50mm, because I just bought it and it is a bokeh beast. I have also still an 85mm which is also excellent, but very heavy. I promised myself not to buy any new lenses for the next 10 years or so, since the now said lenses are just top. Good photography is not about equipment people say, but…… it is nice to have. I was quite happy when LaCie came with this 2TB external drive. It is a backup on set solution, SD reader, USB Hub and Power Bank . You can offload files directly without a laptop. When we travel with our camper we do not like to take with us a laptop. We have our phones and iPad and this is all you need to manage and back up your files. At the end of the day, you put in your SD cards and within minutes you have a clean back up of your files. Great stuff! I started recently with WordPress and with trying to find a way to upload photo’s from LightRoom to WP I arrived at the website Meow Apps which was created by Jordy Meow, a software developer and also a very good photographer based in Japan. Jordy states: There are too many solutions forWordPress today, of uneven quality, often oversized or not well-supported. Meow Apps makes it easier for image lovers and photographers using WordPress by providing neat solutions which work out of the box. I bought WP/LR Sync and also use the free wonderful apps Meow Lightbox and Meow Gallery. All these apps are highly recommended! I followed a LightRoom course at Calumet in Rotterdam and the instructor showed us the Color Checker Passport of X-Rite. 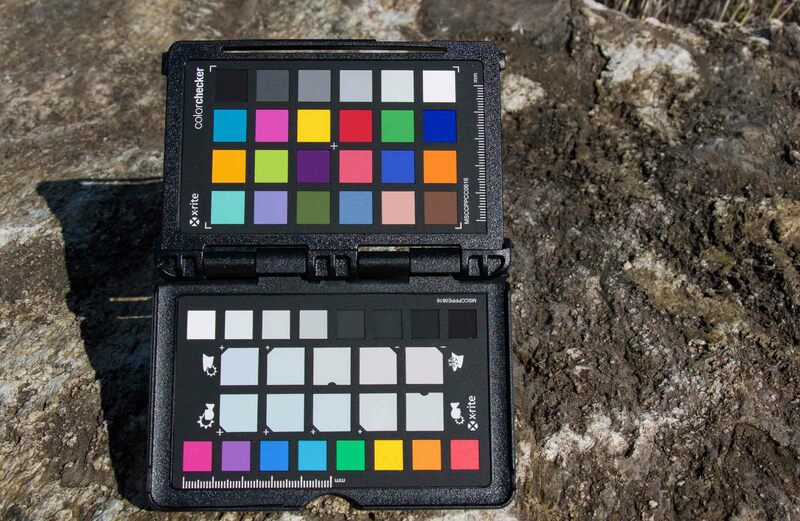 If you want accurate color in your photos, then you can’t rely on your camera’s settings – you need some outside assistance. That’s where the X-Rite ColorChecker Passport comes in. This relatively inexpensive device is simple to use, and just as importantly from the point of view of a Lightroom user, integrates neatly with Lightroom. Highly recommended!